August 2012 – Did You Win Yet? I built a mass fabricator inside a volcano so I can start working towards crafting the Quantum Suit armor in Tekkit! Google maps now shows the real-time departures for BART! Made the Minecraft RedPower version look a bit nicer, too. 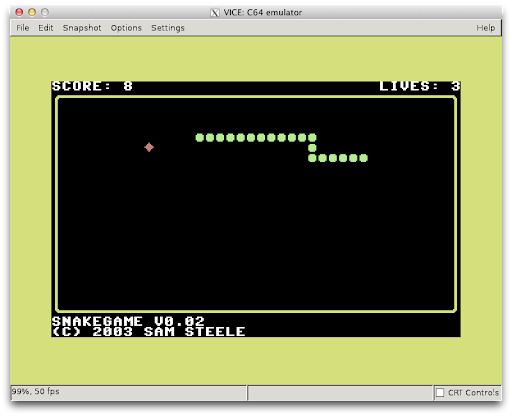 My snake game runs pretty well compiled for the Commodore 64, too! 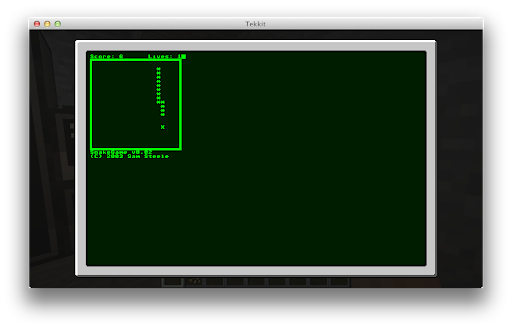 Yay, 6502s! 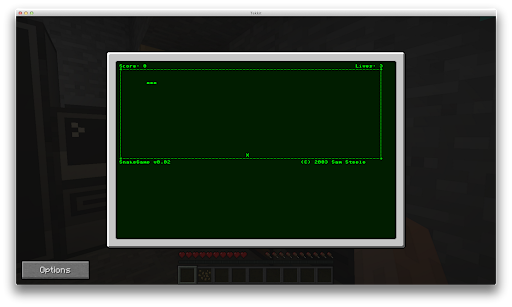 My old ASCII snake game, written in C, running on an emulated 6502 RedPower CPU inside Minecraft! 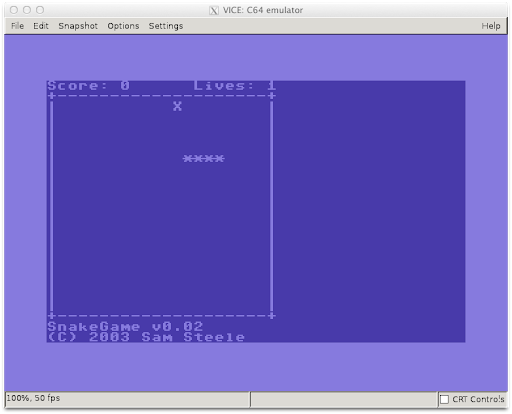 The C compiler is a bit buggy, though, but cool to see it mostly working!